If you were about to graduate from law school and had been a member of the conservative Federalist Society, which boasts a terrific network of judges, high-ranking government officials, lawyers, and law professors, your prospects were terrific; if you were a member of the liberal American Constitution Society, however, your prospects were basically nil. Whatever arguments they may make about merit in other contexts, top decision-makers entrusted with law enforcement in our nation at this time apparently value ideology above qualifications. Of course, everyone understands that the executive branch must have the ability to implement its vision. That is why the President is entitled to scores of political appointments, which he may distribute as patronage – though the current occupant of the White House has made remarkable poor choices in that regard and has even been willing to fire members of his own party (serving as US Attorneys) without reason. In any event, the civil service is supposed to be different. It is insulated from these vagaries. Even within the senior executive service, the highest level of career government employees, it has been common for Republicans to work for Democrats, and vice versa. That is as it should be. I am sorry to learn I was more naïve than my students about all this. The dilemma will be undoing the damage, in a principled manner that does not continue this regrettable cycle. 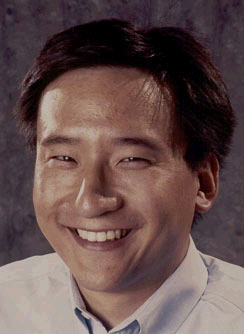 Frank H. Wu is the author of Yellow: Race in America Beyond Black and White; he was Dean of Wayne State University Law School and Professor at Howard University Law School. We have confused two propositions: we have come to believe that aspiring to greater excellence as an institution of higher education means striving to become the same as other schools. In particular, in the pursuit of higher rankings, we have confused excellence with exclusivity. Thus, it would be easy to search and replace the names and the logos from the viewbooks of most universities with that of their nearest rival, and no reader would be any the wiser. We have forgotten the value of diversity among institutions, even as we celebrate diversity within institutions. Yet the rankings are only an excuse. Even without surveys, too many of us seem to share exactly the same vision for our colleges. One of the great strengths of the American system of higher education as a whole, however, is that it boasts such a range of offerings. If every public university tries to be one of the top 10 public universities in research funding, or every liberal arts college one of the most elite, we as a society and individuals will be worse off rather than better off. We will have forgotten the value of missions and access. There have been so many schools that have balanced the importance of generating new knowledge with the responsibility to disseminate existing knowledge, but whose leaders face demands to shift toward research and away from teaching. All faculties claim to value both research and teaching, but the allocation of resources and the distribution of rewards shows that they are not valued equally. The mix is beneficial for all of us. There is nothing wrong with a school becoming more selective in its admissions, but there is something wrong with all schools doing so. Land grant schools and urban schools, among others, were founded to serve the public more generally and that vision remains worthwhile. As Oscar Wilde once said, the only thing worse than not getting what you want is getting it. Ironically, the would-be consumers of higher education of as product who would like to have exclusivity do not realize that most of them will be turned away if to achieve that cachet.